To help people and nature live in balance, we’ve put together some information below. Our Life on the Bay Guide is designed to help homeowners interested in decreasing their ecological footprint. It covers a range of topics including how to live with wildlife, how to use landscaping to improve water quality, best practices during construction, how to store chemicals and garbage and many more. 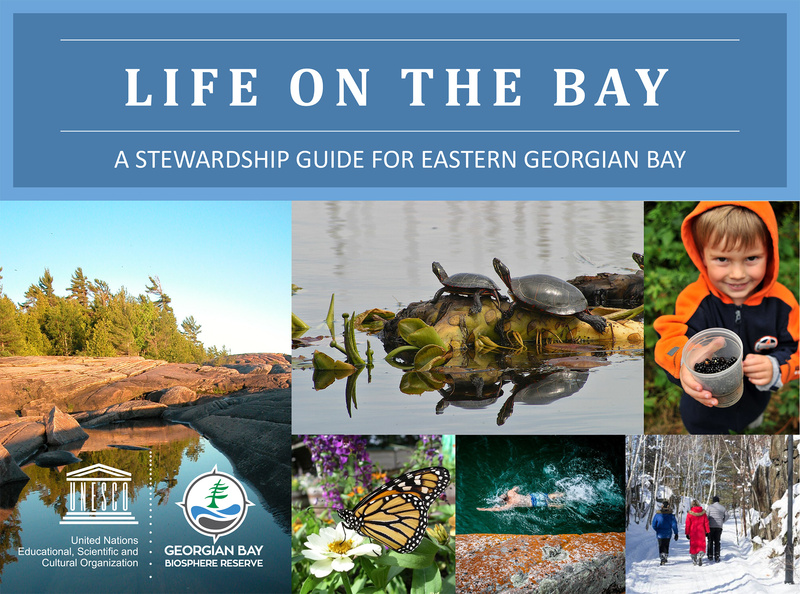 The guide is designed to be used by waterfront property owners on Georgian Bay and inland lakes. Do you have a building project in mind? Naturally, you want to choose the best location and protect the key natural features of your property. 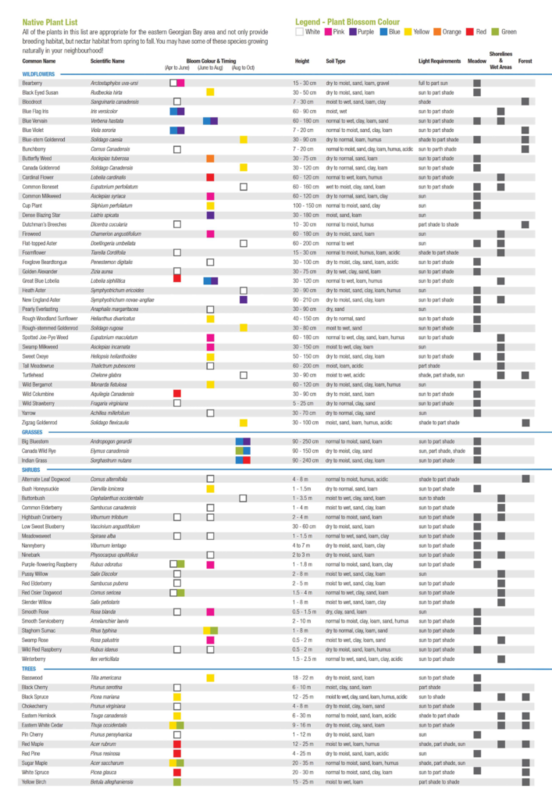 The following screening tool helps to determine the potential for species at risk habitat on, or adjacent to, your proposed building site.  Over 50 species are “at risk” in the Georgian Bay Biosphere due to a variety of factors including habitat loss and fragmentation, road mortality, competition from invasive species, pollution and over harvesting. These species are experiencing population declines and therefore have protection under the Provincial Endangered Species Act (ESA). It is your responsibility to ensure your building project is in compliance with the ESA. Local Townships are not responsible for verifying if you are compliant under the ESA, and do not have the authority to consider the ESA provisions in their decision to issue a building permit. This habitat screening tool has been created to help you determine how the ESA may be applicable to your proposed building project. Essentially the screening tool helps you determine the potential for species at risk habitat on, or adjacent to, your proposed building site. This is best completed as early as possible in your planning process. This screening tool has been designed for small scale building projects. Please note that this screening tool does not replace an ESA permit or absolve the user of any responsibility under the Endangered Species Act. 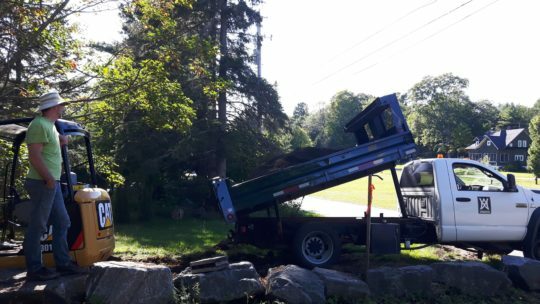 Please contact the Parry Sound Ministry of Natural Resources and Forestry at 705-746-4201 with any questions or clarifications about the ESA. 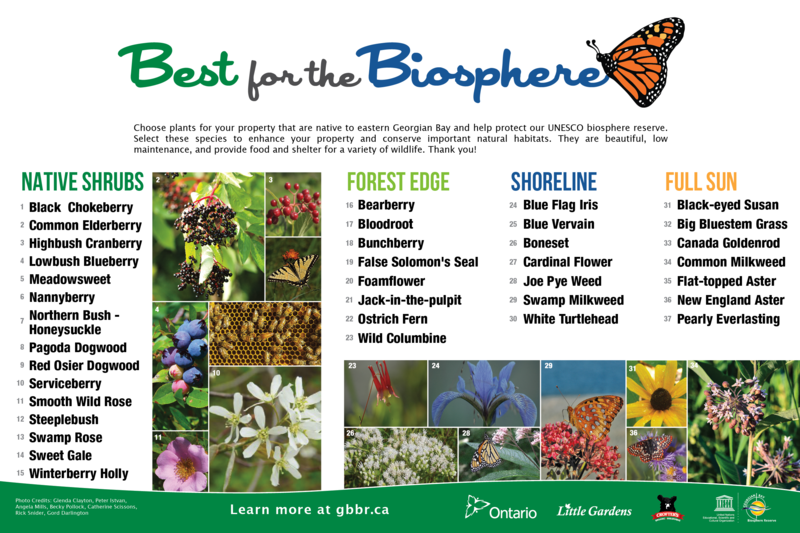 Choose plants for your property that are native to eastern Georgian Bay and help to enhance your property and conserve important natural habitats. They are beautiful, low maintenance and provide food and shelter for a variety of wildlife. And be sure to check out Memengwanh, The Monarch Butterfly: A Guide for Eastern Georgian Bay. This guide was developed to help individuals, families, businesses, municipalities, and all other groups increase their understanding of Monarch butterflies, the problems they face, and the ways to help.